A guide to various NLP changework interventions, presented with little case histories of the kind of problems you might use them for. Very readable and easy to understand, this would be a good book for therapists but is also useful for self-help. Published by Real People Press, the Mark Andreas hippy-art cover makes it look like classic NLP works such as ‘Frogs Into Princes‘ and ‘Trance-Formations‘, and it’s good enough to stand in that company. There really is an insight on nearly every page. The psych nursing background gives Austin an unusual depth of knowledge of the oft-neglected ‘neuro’ part of NLP, which provides useful perspectives on disorders like OCD. Many people will be familiar with the “That’s so obvious – why didn’t I notice that before?” moments that come thick and fast when you first encounter NLP. 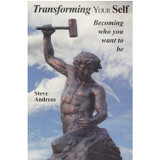 I’m pleased to say that after 10 years as an NLP trainer, this book could still give me plenty of those. Of course a decision-making process that uses movies is going to get better results than one restricted to stills! Damn! Did I mention that the book is often laugh-out-loud funny? He got away with that “Satan” thing too – in fact the client was so pleased with the results that she paid about six times what he asked. One thing I’m taking away from it is to be braver in my changework sessions. For my money this is the most significant NLP book of the last ten years. Luckily it’s also one of the most readable. More please! 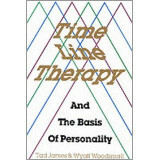 This is the original work on Time Line Therapy and as such is essential reading for anyone seriously interested in effective ways to help their clients. In my personal experience as a therapist this is the most effective intervention for helping clients to let go of negative emotional baggage from the past – fear, anger, guilt and sadness. It’s also the quickest and kindest. This book was published in 1988 and contains a few techniques (e.g. deleting memories) which I hope Tad wouldn’t endorse today. 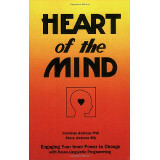 It’s very much a book of two halves – the second part sets out a number of metaprograms (covering much of the same ground as Shelle Rose Charvet’s Words That Change Minds, albeit not as engagingly), integrates the Myers-Briggs categories into the NLP model, and describes how to elicit and even change someone’s values. There isn’t much of a link between the two parts of the book. Also, the actual step-by-step process for a TLT intervention is nowhere set out in the book. I suspect the format of the intervention was finalised after the book was written. It also has a transcript of a therapy session using TLT to help a client with a cocaine habit. Overall the book is clear and readable. 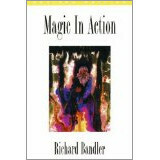 Bandler’s on top form in this book from 1985 about using submodalities to ‘run your own brain’. Like many of the early Bandler and Grinder books, it’s another seminar transcript, so once again the man’s attitude comes through loud and clear with loads of jokes and anecdotes which always have a point. Every time I read one of these seminar transcript books, I get something new from it. Messy cartoons but still a must-read. NLP co-founder Richard Bandler used the process of problem elicitation as a way of loosening up the client’s strategy for having the problem – see the transcripts of client sessions in this book, which I would say is essential reading for any therapist. The object is to loosen up the client’s model of the world, not to ‘cure’ the problem – although the client may let go of the problem during the process. In the transcripts, Bandler is finding out (or ‘eliciting’ in NLP-speak) each step of their ‘strategy’ for having the problem (the mostly automatic series of steps they go through in their head in order to make the problem happen) and scrambling the strategy to give the client an exit route at each step – at the same time! This book is an exemplary record of how to do therapy elegantly. 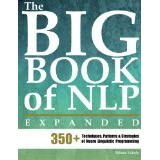 This book explicitly sets out to be a resource for NLP practitioners. 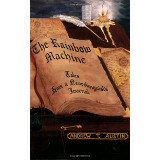 As the author says in the introduction, it contains very little theory and no metaphors, stories or research backup. 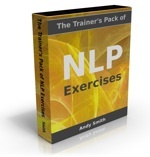 This is all to the good – if you have had some decent training in NLP and you want to use it, you will already have had a wealth of experiences which demonstrate the value of the NLP approach. You won’t need further convincing. You also won’t need yet another book which attempts to introduce NLP to readers who haven’t come across it before, or which provides another retread of the same few basic patterns that a hundred other books have already set out. Instead, you will be looking for new patterns and techniques that perhaps your training didn’t cover, with step by step explanations of how to do them, and lots and lots of them! That is what this book provides. It features 350+ patterns and techniques. And it’s fluff-free – pretty much all of its 828 (!) pages are devoted to how to use the patterns. Not case studies, not attempts to persuade you of why you should use the pattern. Just – here the pattern is, and this is how you do it. There are also little gems like ’55 Hypnotic Phrases used by Milton Erickson’. A nice feature of the book is that where possible Shlomo gives credit to the original developers of the patterns. The book is very definitely not a promotion for him and his material. Very occasionally, the writing style is a little unpolished, or there’s an insignificant typo – but that’s fine. No-one who is looking for a manual of NLP techniques is going to base their decision to buy on how much of a prose stylist the author is. I’ve been an NLP trainer since 1997, and I hadn’t come across maybe 25% of these patterns before. I just did a quick calculation – based on the Amazon.com price at the time of writing, your investment will be about 14 cents per pattern! 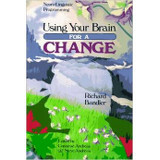 Which, if you are an NLP practitioner, makes it a no-brainer to buy this book. Update: There’s now an expanded and updated version, The Big Book of NLP Techniques, Expanded with 828 pages and over 350 patterns. The links below now point to the new version.